I love everything about this dress from Louche. 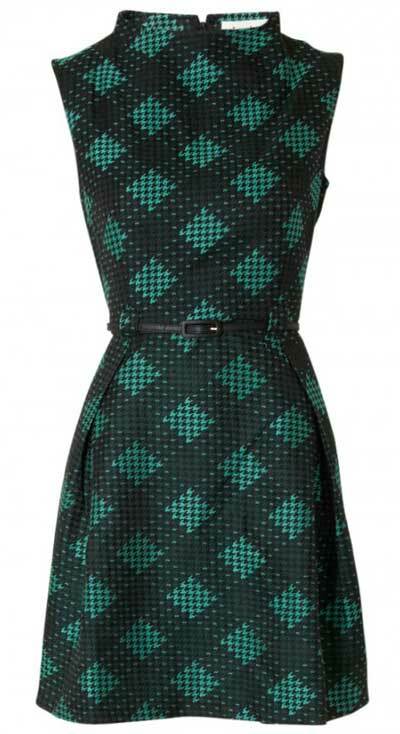 The funnel neck and slightly flared skirt looks trendy and pretty, the criss-cross pattern is not your standard type of pattern, and the colour combination of dark green and black is gorgeous. It’s definitely a dress that will make you stand out! I’d pair it with a cute black cardigan or a black long sleeved top, red shoes and a red hair band. What would you wear this dress with?